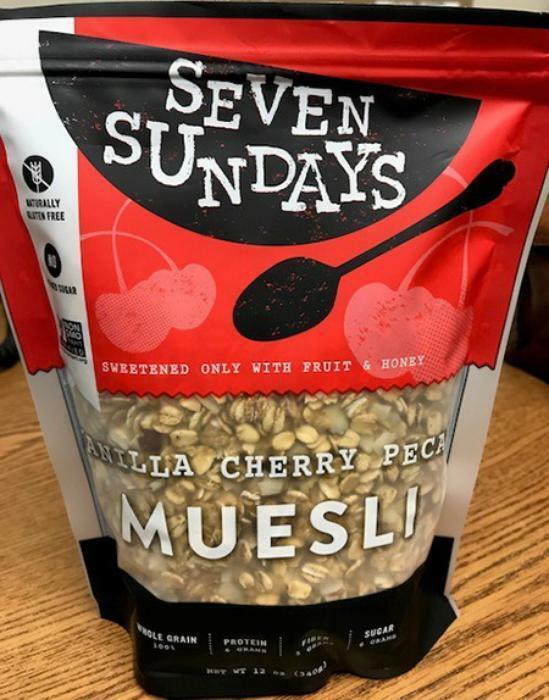 Seven Sundays of Minneapolis, Minn., is recalling its Vanilla Cherry Pecan Muesli that may contain almonds, an allergen not declared on the label. The recalled item, packaged in a red and black 12-oz. plastic pouch with a clear window on the front, has the UPC code 8-56088-00315-6and the Best Buy Date Code of “SELL BY JUNE 29 2018” on the back. It was sold in retail stores nationwide. Customers who purchased the recalled product should destroy it and bring the purchase receipt to the place of purchase for a full refund. Consumers with questions may contact Seven Sundays at 612-562-5316, Monday – Friday between 9 am and 5 pm, or by email at info@sevensundays.com.